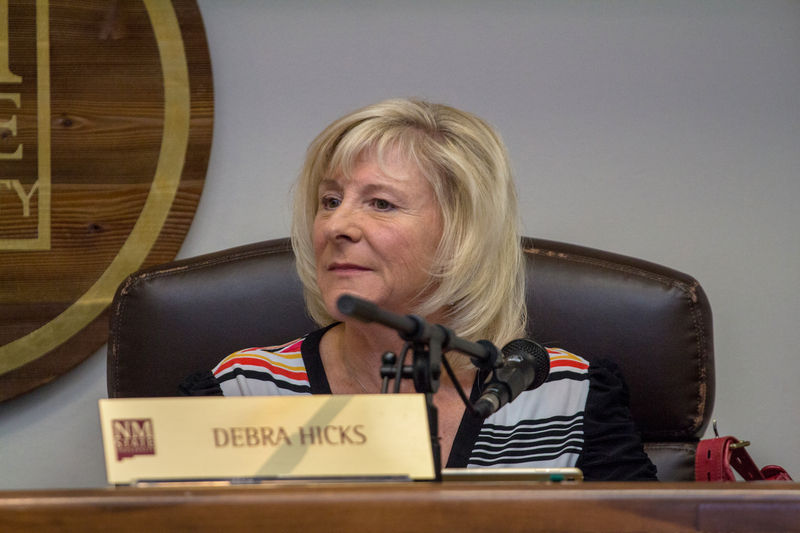 New Mexico State University regents voted to increase tuition during a special NMSU Board of Regents meeting last Friday. 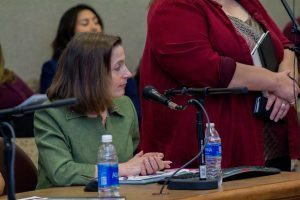 The regents also voted in favor of wage increases for faculty and staff and a price increase for parking passes. Senior Vice President for Administration and Finance Andrew Burke proposed a 2.9 percent tuition and fees increase per credit hour and a 3 percent flat-rate tuition increase for 15 or more credits. The changes would apply to in-state and out-of-state tuition at both NMSU and Doña Ana Community College, as well as undergraduate and graduate tuition. There were three regents present to vote on the increase. Regents Jerean Hutchinson, Chris Saucedo and Kari Mitchell all voted in favor of the increase. Burke also proposed wage increases for faculty and staff. He presented a chart that showed minimal average NMSU salary increases over the past ten years. He proposed a 2 percent merit-based wage increase for faculty and exempt staff, a flat $1,000 annual wage increase for non-exempt (hourly) staff, and a flat $500 stipend for graduate assistants. 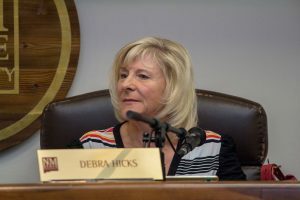 “I am in support of faculty and staff raises, always have been, but we have to create that income stream to do it,” Hutchinson said in response to the proposal. The regents approved the wage increases across the board. The regents also discussed and voted on a price increase for campus parking passes. Burke presented tables showing how NMSU charges far less for parking than many other institutions in the region including UTEP and UNM. The proposal called for a 2 percent increase across the board for parking passes. The regents voted in favor of the increase and for the funds to go toward parking lot maintenance. Additionally, Jennifer Hodges, Director of the Center for Academic Advising and Student Support (CAASS), discussed the ups and downs of the new centralized advising model implemented last fall. This program has moved the majority of academic advising away from faculty members in each of the university’s academic departments to a core group of staff advisers housed within Garcia Annex. The CAASS staff and the regents discussed maintaining faculty mentorship for students under the new advising system, as well as changes to advising holds and measures taken to retain students. According to Regent Jerean Hutchinson, $65,000 was allocated toward implementing a tool to identify students who may be at risk of dropping out in an attempt to increase retention rates. The tool, however, was not successful. According to Provost Dan Howard, there are plans to search for a replacement tool. He also emphasized he would continue to support the centralized advising model. “There is no backing down from this. The same investments — the investments that we made were recurring investments, so those investments are being made again,” Howard said.